Harry Lorayne is of course well known to members of this forum, and is highly respected for his expertise with playing cards and card magic. "I spent many hundreds of hours with Harry in his townhouse in the West Village in New York. The piece of crap deck he had on his desk for years was a bridge-sized deck, all bent up, with tape and even a bandaid holding the cards together. He really didn't give a crap what kind of cards he used." I'd almost "forgotten" this interview! American magician Harry Lorayne is a living legend of magic. 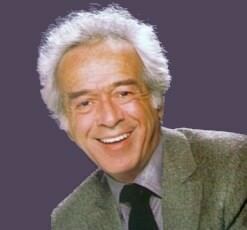 Born in 1926, he recently turned 92 years old, and has outlasted nearly all of his contemporaries. Anyone somewhat familiar with the history of magic and with the biggest names of card magic from the second half of the 20th century, will certainly recognize Mr Lorayne's name and be aware of his work. He has sold more than 17 million copies of over 40 books, including a large number of classic works on card magic. He was one of the top showmen and entertainers of his time. Few magicians will ever be as legendary as Harry Lorayne. To get an idea of how highly Harry Lorayne is regarded, see a compilation of video greetings here from magicians/entertainers worldwide on the occasion of his 90th birthday in 2016. The list includes a who's who of famous magicians, including big names like David Copperfield, David Blaine, Dynamo, Penn & Teller, Max Maven, and Michael Ammar. Remarkably, Harry Lorayne is still adept with his card magic, and on the occasion of his 90th birthday he delivered a fantastic lecture where he performed and explained some of his favourite card routines (details about how to access this lecture can be found here). He is still producing new material, the most recent title being Jaw Droppers Two (2017), and is currently working on yet another book about card magic, And Finally!, which is planned for release later this year. Harry Lorayne is also well known as a memory training specialist, and is considered by many the world's foremost expert in memory training. I have personally benefited enormously from using his techniques, which I first learned as a teenager from The Memory Book. Even the basic memorization concepts he teaches proved very helpful to me throughout my education, and I still use them today. 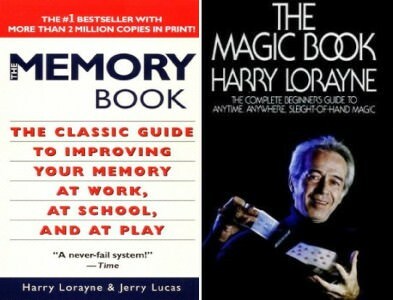 Using the memory techniques that he taught in books and seminars, Harry Lorayne would perform remarkable demonstrations of memory for large audiences. He was especially known for being introduced to large audiences of as many as 1000 people or more, and being able to recall the names of every single person present. He appeared on national television on many occasions, including regular performances on The Tonight Show Starring Johnny Carson. You can see a clip of a 1988 appearance on the show here and a remarkable memory demonstration on another TV show in 1958 here. 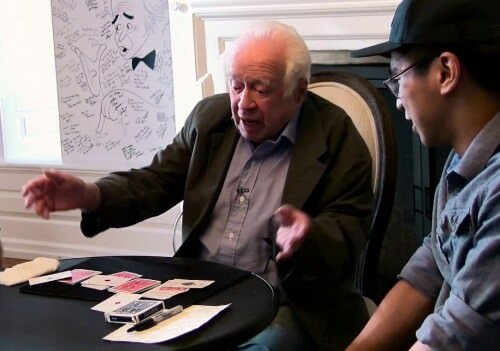 But of particular interest to us is his involvement with card magic, which of course involves playing cards. Harry Lorayne emerged from a difficult childhood with a real interest in and love for card magic, and while enormously successful in the area of memory training, his first love was card magic. Combined with his natural talent as a showman, and a genuine ability to entertain and also to teach, as well as to create and innovate, he quickly became one of the leading names of his time. Mr Lorayne is highly regarded in the world of card magic not just for the tremendous entertainment he provided to thousands of audiences across the world, but especially for his contributions in creating and teaching magic. He had an enormous capacity to write, and in the course of his life, became the prolific author of many influential books on both memorization techniques and card magic, with more than 20 books on the latter subject alone. He is a very clear writer, with a remarkable ability to explain things in words like very few others can. And along with that, he is also a thinker and creator, and is constantly coming up with new ideas, and with new ways to improve old routines, even at the ripe old age of 90 plus. His book on magic for beginners, The Magic Book (1977), and his first work on card magic, Close-Up Card Magic (1962), continue to be included by many magicians in their lists of all-time favourite books on magic, and are often regarded as his most influential and best works. Ender, great stuff as always!! Your writing is robust and level headed as usual. As I read it, I felt I was in a quiet room (more likely a loud delicatessen!!) having a bite to eat with you and Harry! Pass me the mustard ... I want to read the article again!